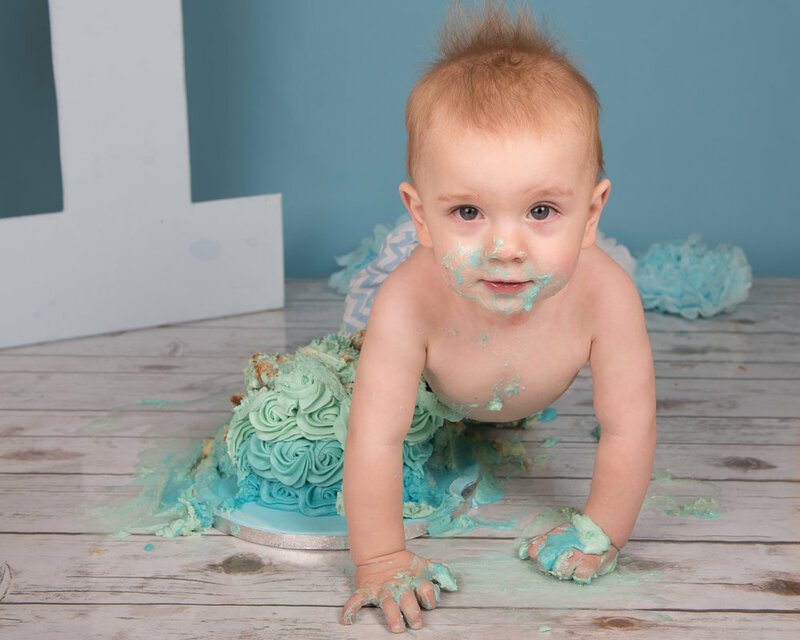 Hello everyone, today’s blog post answers a common question on what a cake smash actually is. 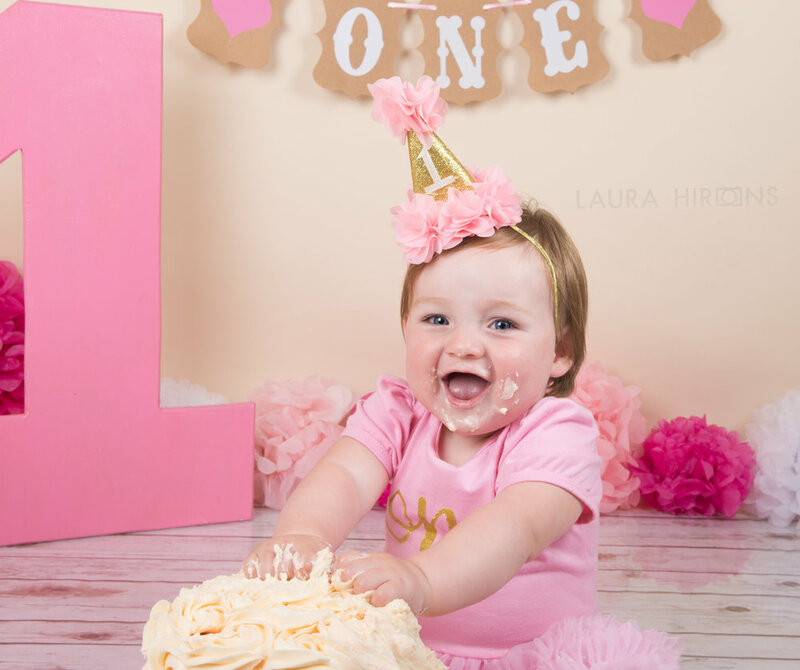 My cake smashes have by far become my most popular sessions and they are so fun to do! In my cake smash I take pictures of the child/children in their special outfit first, so Mum and Dad can then have a shot of their little one before the mess happens, and the fun starts! Then finally after your child is hopefully covered in cake, we move onto the splash bit! 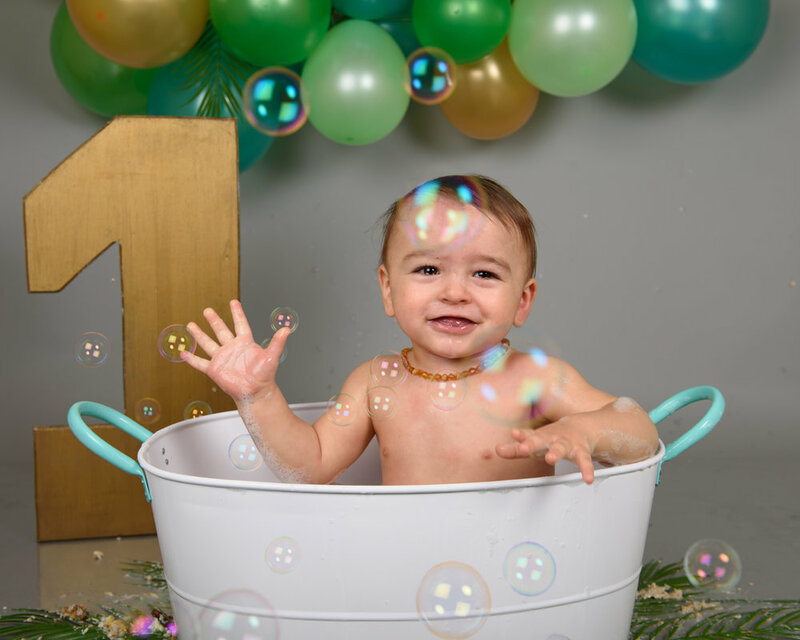 This is where I photograph your child having an actual bubble bath, with plenty of bubbles from my bubble machine making for a super special photograph too. This is my favourite part to photograph as you get such a genuine reaction from the child to be able to capture! 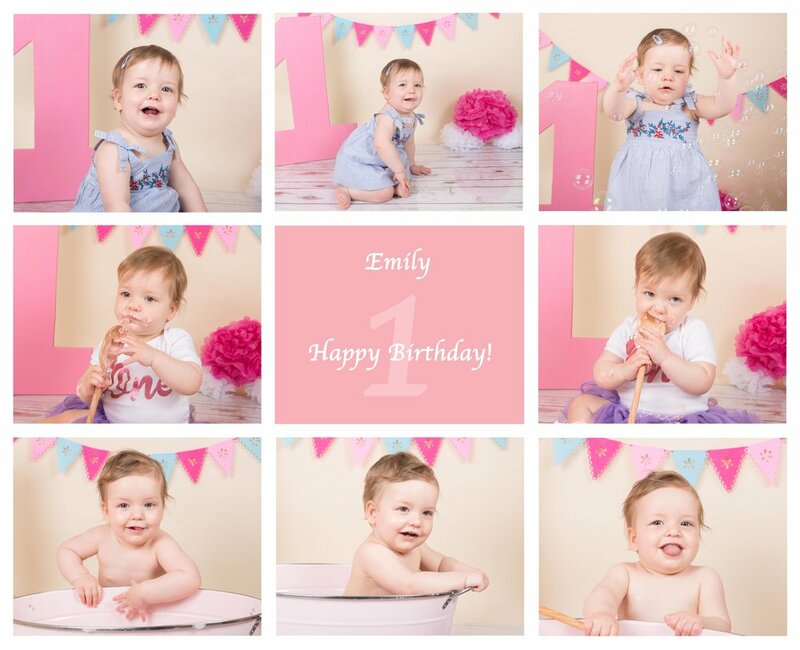 After my cake smashes you get a collage of my favourite images from the smash, which you can then keep as a momento, it’s also perfect for posting on social media on your little one’s birthday, and also for printing out and framing in your home! The question you might now be wondering is how much does it cost? My cake smashes are £125, this comes with 5 digital images of you choice and the storyboard/collage above. My cake smash sessions last 1hr and 30 minutes. 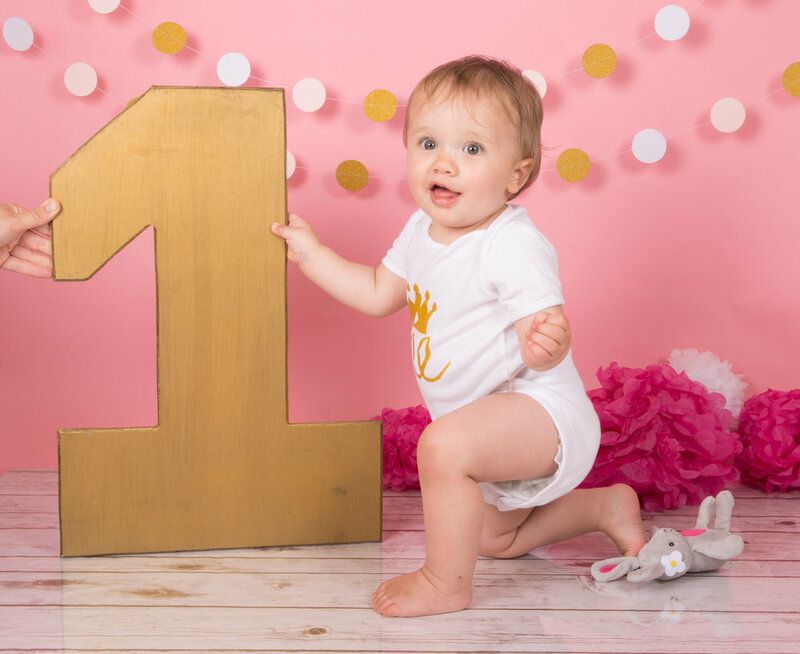 This price also includes a specially designed cake by http://smegscupcakes.co.uk and a box of 6 delicious cupcakes for you to take away, and full use of my props and outfit too, and a simply designed set up. If you want a custom theme I can provide for this too, there are likely to be additional costs due to personal outfits being needed to suit the theme, and some more props having to be brought, but as always this is something I will happily discuss with you, should you prefer this idea. 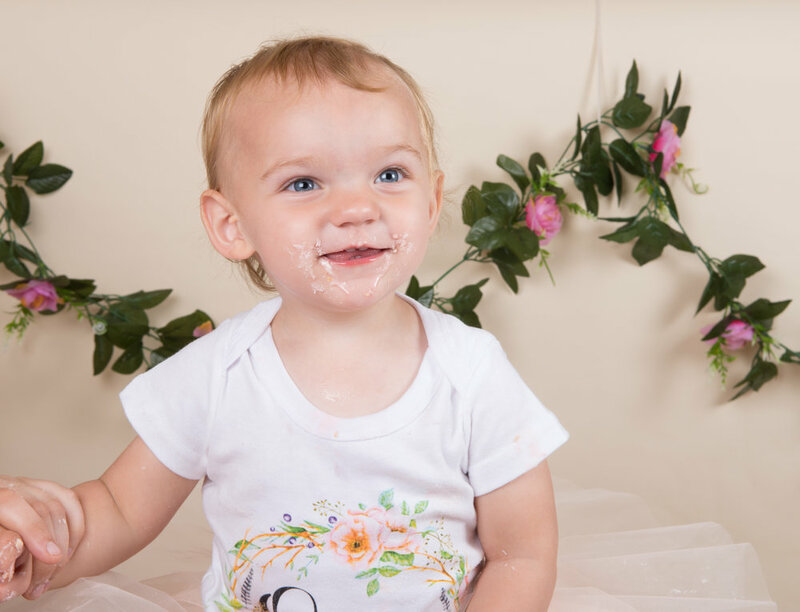 I hope this answers any questions about a cake smash, and it would be great to hear from you soon if you want me to capture some truly special memories to celebrate your little one’s first milestone. If this doesn’t apply to you and it applies to a friend’s child then why not pass this post on I’m sure they’d be grateful! Thanks for reading and I hope you have a lovely week.